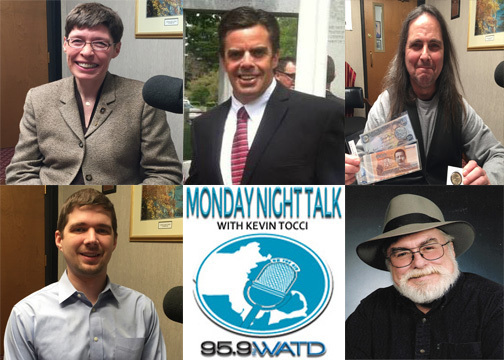 This is the Monday Night Talk radio show with host Kevin Tocci that aired on March 20, 2017 featuring State Representative Joan Meschino; East Bridgewater Selectman Bill Dowling, Numismatist Richard Hand, NY Times Bestselling Author Jim Marrs, plus show cohost and Marshfield Citizens Coastal Coalition Chairman Joe Rossi! 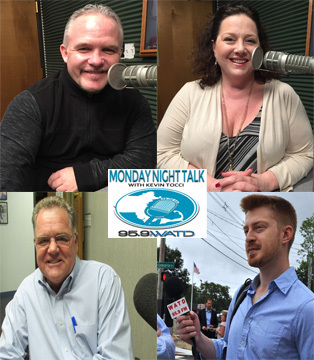 Here's is the Monday Night Talk radio program from March 13, 2017 featuring Abington Selectman & HUG Foundation President Alex Bezanson, local businessman Richard Rosen and Deirdre Hall, candidate for the Rockland Board of Selectmen! 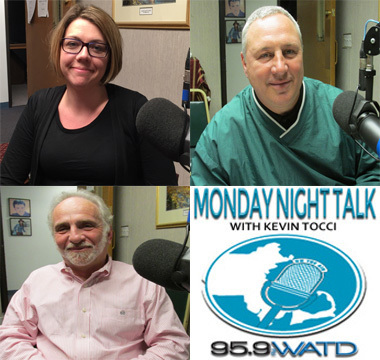 Here it is...the Monday Night Talk radio show with hosts Kevin Tocci and Joe Weeks that aired on March 6, 2017 featuring State Representative Tom Calter; Bestselling Book Author Casey Sherman, WMAL Anchor/Reporter Steve Burns, PACTV's Donna Rodriguez and Laura FitzGerald-Kemmett, President of the Panther Educational Trust organization! 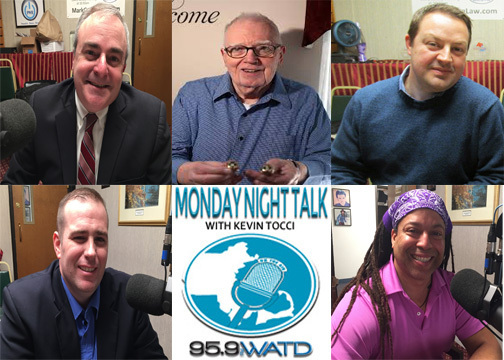 This is the Monday Night Talk radio show with host Kevin Tocci that aired on February 27, 2017 featuring State Representative Dave DeCoste; Rockland Selectman candidate Mike O'Loughlin, WATD Political Analyst John Creed, Boston Strong Book Author Dave Wedge and Massasoit Theatre Company's Mark Rocheteau!